The perfect food for the perfect healthy diet! So you want to lose weight, and need help planning the perfect diet plan. The main concept to follow is to include as much proteins to your diet as proteins are not only high in nutrition, filling and help you burn as much as 80 to 100 calories more per day. Including proteins, there are some other foods you could include to make healthy diet plans. It’s difficult to believe, but boiled potatoes actually has some properties which make them the perfect, healthy weight loss food. They contain a little of most nutrients our bodies require, and are particularly high in potassium and thus plays an important part in controlling blood pressure levels. 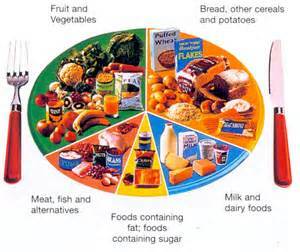 Moreover, its Satiety Index, a scale measuring the fulfillment of foods, is the highest of all tested foods. This means that you feel naturally full and tend to eat less of white, boiled potatoes and feel full. Its benefits are higher if the boiled potatoes are cooled for a while as they form large amounts of resistant starch, which has lots of health benefits. Besides potatoes, turnips, sweet potatoes and root vegetables are also excellent foods to include in healthy diet plans. Tuna is lean fish, without much fat, and a great high protein, low-calorie food. It’s popular amidst bodybuilders and fitness models as its high in proteins and low in fat. So if you want to increase your protein intake, just include some tuna canned in water and not oil, to your diet. Beans and legumes like lentils, kidney beans and black beans are great for weight loss and should be included in healthy diet plans. They are high in fiber and protein levels, which are important for increased satiety. The only problem is that most people find it difficult tolerating legumes, which can be prevented if properly prepared. Low energy density foods help people feel fuller with fewer calories. These foods usually contain more water like vegetables and fruits. You can also make yourself eat less and feel full by adding water to your food, through soups. In fact, studies have proven that eating the same food in a soup instead of solid food improves satiety wherein you end up eating fewer calories. Dairy products like cottage cheese are high in protein with very little carbohydrates and fat. So you can increase your protein consumption just by increasing you cottage cheese intake. And as it’s very satiating, you feel full with fewer calories. To top it all, cottage cheese is high in calcium, which helps in the fat burning process. Grapefruit is a great food to include to your diet as it not only helps with weight loss, but also helps reduce insulin resistance. Eating half a grapefruit half an hour before your daily meals helps with your weight loss endeavors by making you feel more satiated. You thus end up eating less and fewer calories during your meals. So now you have an idea for healthy diet plans, try out a diet with these 6 foodstuffs, and you are sure to find a marked reduction in your weight within a short time span. Download "How to Flatten Your Stomach, Sculpt Your Abs and Look Good Naked"
©2019 99 Nutrition Tips. All Rights Reserved.